The signs on the chalkboard warn you in advance – the prep time for making the bubble tea here is significantly longer than anywhere else. The reason for that is because every cup of tea is made fresh to order. They actually brew your choice of tea in front of you, add the required sugar or honey, bubbles, aloe or jelly, mix and shake ’em up with ice, expertly straining the concoction for your drinking pleasure. None of that powdered/concentrated milk stuff, artificial food coloring or stale tasting tapioca. Instead, you’ll find the staff that works here have become real pros at mastering the cocktail shake – it’s like the fine art of bubble tea making. You won’t find anything else like it in Montreal. Nos Thès also makes tiny bubbles, which are exactly that. Tapioca balls of unusually small size. These are made on Tuesdays, Thursdays and Saturdays exclusively. Nos Thès also has panda bubbles, in other words, black and white bubbles. All of these are made before the business day opens – sometimes they’ll even run out of bubbles midday and make some more. If you come during the 45 minute period where there’s a dearth of bubbles, go for the aloe, my second favourite add-in. Some of the best flavours are the lavender early grey with bubbles, the wintermelon tea with aloe, formosa green tea with mango jelly and the fresh taro with bubbles. Worth trying also are the adzuki bean, the rose oolong and the hazelnut teas. Note that there is food available as well at both Nos Thès locations downtown and in the village. Nos Thès specializes in making traditional and not so traditional Taiwanese food (i.e. 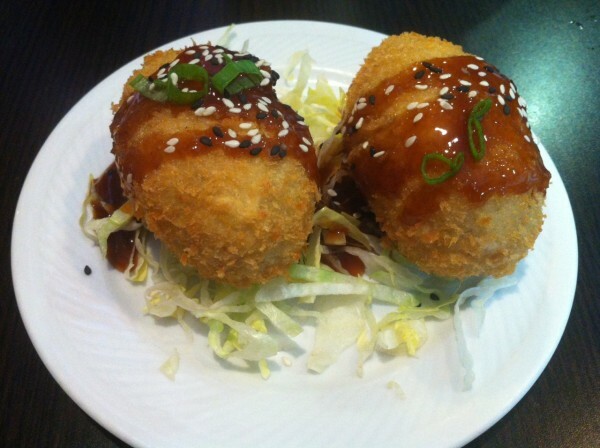 Japanese influenced croquettes above). 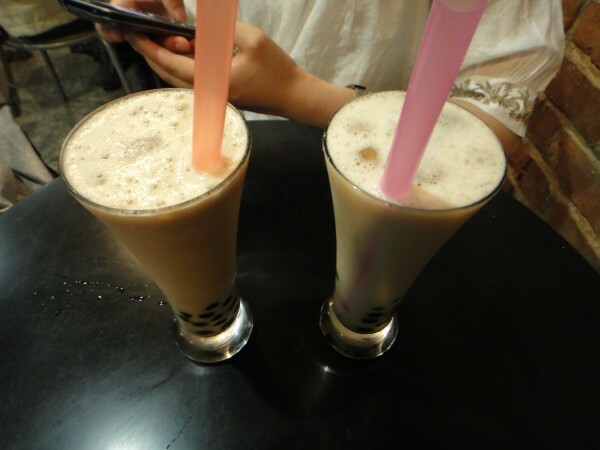 If you want to sit and chat with a friend over bubble tea and snacks, this is a good casual cafe setting to do it. The downtown location is geared towards a student population and is a lot more grungy than the village location on St. Catherine’s. The latter is levels above in terms of newness and cleanliness. If you’ve been, you’ll know what I mean. Funnily enough, the Nos Thès St. Mathieu spot for me seems to consistently make the better tea. It’s my regular spot so maybe I’m biased. 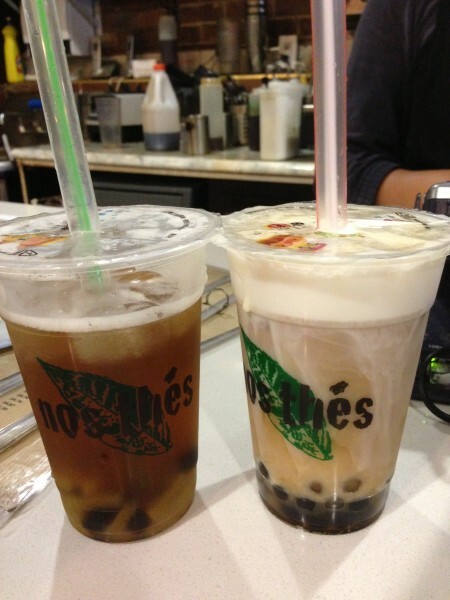 Either way, Nos Thès has got me by the (tapioca) balls. 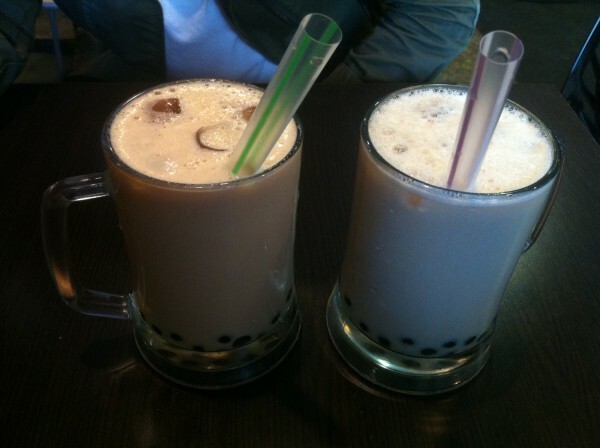 Tags: Aloe, Asian, Bubble Tea, Jelly, Montreal, St. Mathieu, Village.